This September 2 to 5, President Rodrigo Duterte will make history as the very 1st Philippine president to visit the State of Israel. This significant event happens to fall on Israel’s 70th year anniversary. In Bible history and Jewish culture, the number 70 marks the end of a season, a time of completion and new beginnings. Official reports say that President “Digong” will meet with Prime Minister Benjamin Netanyahu, President Reuven Rivlin, OFWs’ in Israel, and explore the possibility of acquiring military training and weaponry in the war against ISIS and other terrorist groups. 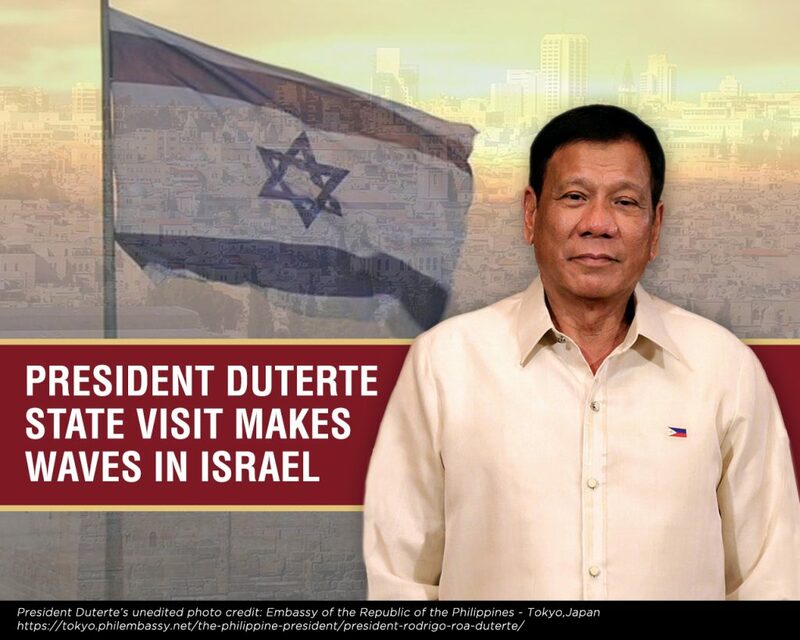 He may also visit the Western Wall (remaining fragment of the Holy Temple platform) and discuss the option of moving the Philippine embassy from Tel Aviv to Jerusalem. After which he will travel to neighboring Jordan to visit Filipino workers there. The President’s visit is unique in that it is already “kicking up a dust storm (of controversy).” And “he hasn’t even arrived,” according to a front-page article in the Jerusalem Post – the leading English language newspaper of Israel. This August 29 article showed a picture of the president posing in front of his military officers, rifle cocked in his hands. It recalled President Duterte’s curses hurled at former US President Barack Obama, his likening of his war against drugs to Hitler’s massacre of the Jews (for which he later apologized, the article cited), his decision to bring retiring military officers on the trip as their “reward” for good service, and speculations that he will consult with Israeli doctors on state-of-the-art treatments for his various ailments (which the President has denied). Most Filipino and other Christian groups in Israel hold a far more positive view of this first visit of a Philippine Chief-of-State. During a prayer meeting last Monday at Christchurch, oldest Christian-evangelical church (100 years) in Jerusalem and the Middle East, delegates from Sweden, Russia, the United States, Papua New Guinea, England, Holland and other nations cheered and applauded the news of a Philippine president coming to visit for the first time. This comes on the heels of accusations coming from several nations that Israel and the Jews are “illegally occupying” the land that was previously Arab Palestine and belonging to the Palestinians, a claim countered by Bible-believing Christians who say that the land was deeded to the Jews by God Himself and they have resided there for over 3,000 years, through the generations of Joshua and Jesus Christ, until today. On the other hand, some Filipino critics of Pres. Duterte’s visit view his coming with suspicion and raised eyebrows, noting that he had recently called the God of the Bible “stupid” and mocked and rejected the creation story described in the Book of Genesis. 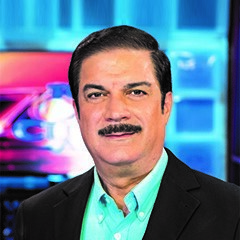 They fear that any more negative remarks against the Bible, Israel and the Jews will serve to curse rather than bless the Philippines. But then, majority of Christians are hoping, praying and fasting for a blessed outcome. Jessica was moved to tears when she first prayed and laid her hand on the platform wall of the Temple where Messiah is prophesied to return and God promises to “incline his ears” to the prayers of visitors from the nations. 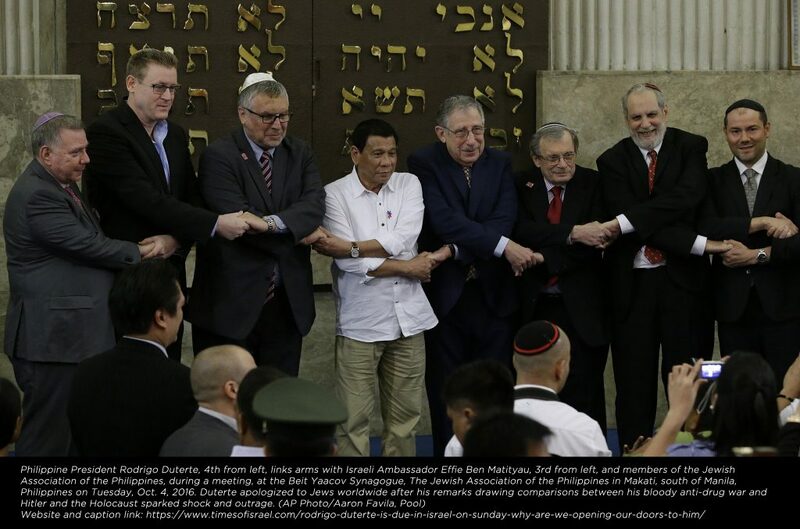 Her husband Gabe Szabo, an American-Hungarian Jew and first-time visitor to the Holy Land believes the President’s trip “will pave the way for Prime Minister Benjamin Netanyahu to visit the Philippines next year. I hope they bring (President Duterte) to the extension of the Western Wall nearest the Holy of Holies (sacred Temple Sanctuary and seat of God’s throne)”. “Kung noon, the Philippines blessed Israel, lalo pa ngayon na bibisita ang Presidente natin, (if we blessed Israel before, more so now that the President of our nation is coming to Israel)” observes Pastora Kezia Gulay. The Philippines was the only Asian nation that voted for the rebirth of the Jewish State at the United Nations (UN) assembly of 1947 and the only country in the world that opened its doors to Jewish refugees fleeing Hitler’s Holocaust from 1938 to 1942. The word of God says in the book of Genesis that, He will bless those who bless His people, and He will curse those who curse His people. And the Philippines will be blessed because we bless and took care of His people and the nation of Israel. God bless our President and the Philippines.